Homophones are words that sound the same but have different spellings and meanings. Using the sheet, ask the children to find the missing homophone to complete the pairs. 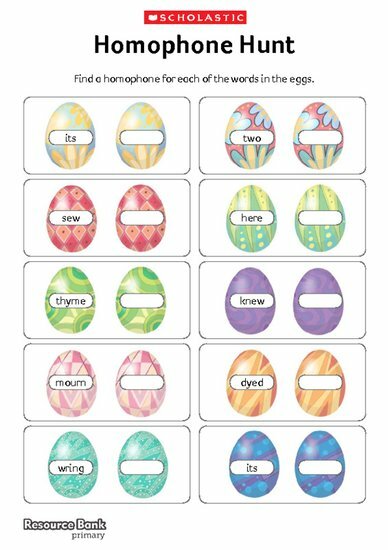 Children can either do this independently, or they can search for the homophones in the poem Spring into Easter’ . ‘Spellbound’ poem – Cheque your spelling!